Lake Chatuge has several public access boat launches, below are 3 of these, along with information and GPS locations. 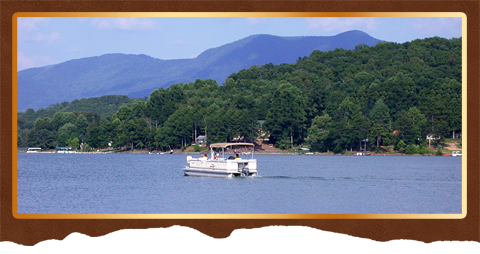 Located just minutes from downtown Hiawassee along GA 288 is the Lake Chatuge Recreation Area. This location is ideal for outdoor adventurers looking for a short and low impact hiking trail. The trail is more of a stroll than a hike depending on how slow or fast your feet want to travel. The recreation area is cradled along a southwestern inlet channel of Lake Chatuge. Lake Chatuge Trail winds thru a wooded shoreline area with various seasonal wildflowers and picturesque views of the beautiful sky blue waters of Lake Chatuge bordered by grand mountains stretching across the horizon. Dogs are welcome though required to be on a leash. Mountain bikes and horseback riding is not permitted. No camping is permitted in this recreation area though there is an excellent boat launch ramp. A large parking area is also available for vehicles and boat trailers. Along the eastern shoreline of Lake Chatuge near the outer edge of the town of Hiawassee next to US 76 is a parking area and boat launch ramp open to the public. Though the launch ramp is close to the highway the short access road to the lake’s shoreline could use some maintenance, a little rough yet manageable. Boaters should pre check the launch ramp to determine if the size of their personal watercraft can be easily launched from the site. Happy boating. Along the shoreline of Lake Chatuge within the Georgia Mountain Fairgrounds is an excellent boat launch ramp. This particular launch is very popular due to its location,it has a large parking area available for vehicles and boat trailers. Even though this launch is within the GMF Campground you don't have to be a camper to use the launch, it is open to the public. Located along the eastern shoreline of Lake Chatuge just north of the town of Hiawassee is Jackrabbit Mountain Recreation Area. This area is maintained by the National Forest offering designated areas for 103-camping sites, picnic areas, a swimming beach with showers, fishing access, a boat launch ramp and a popular hiking and biking trail. The Jackrabbit Mountain Trail is a loop within a loop trail. The outer loop trail is 2-miles long; the inner loop trail is 1.2-miles long.